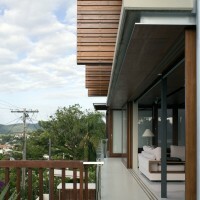 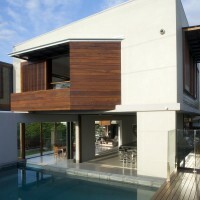 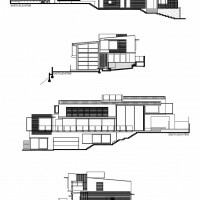 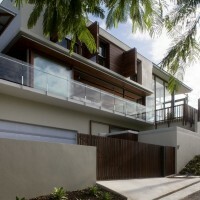 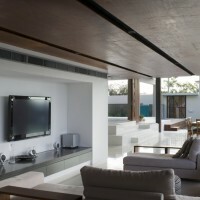 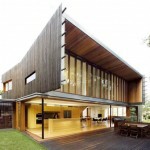 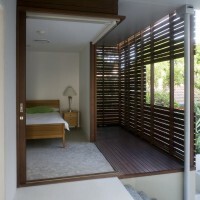 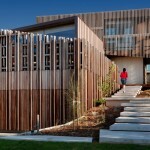 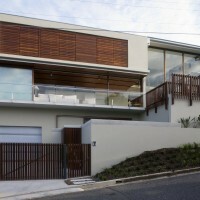 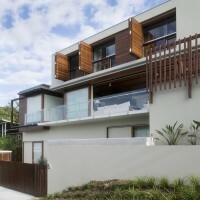 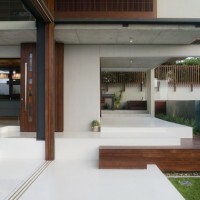 bureau^proberts have designed the Patane Residence in Newmarket, Queensland, Australia. 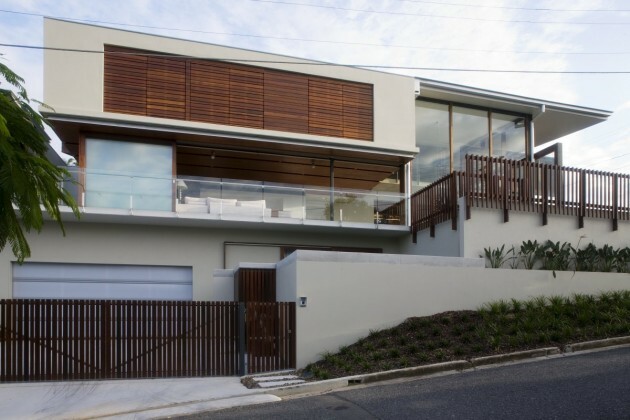 The home was designed for a close knit, young family and occupies the crest of a hill facing south towards breathtaking views of the Brisbane city skyline and Mount Coot-tha. 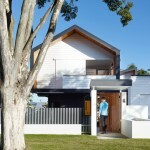 A series of connected pavilions perched on solid concrete platforms encourage exploration and interaction whilst portraying a sense of permanency and refuge for occupants. 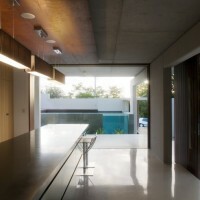 The concrete construction enhances a sensation of intransience the client desired, while timber elements re-interpret the craftsmanship of Queensland home construction, responding to the suburban context of Newmarket’s 19th and 20th century dwellings. 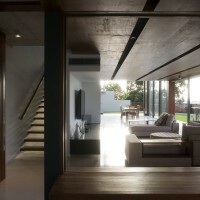 The home is intended to conjure summer memories of time spent in the cool, shaded spaces found under the homes of our childhood. 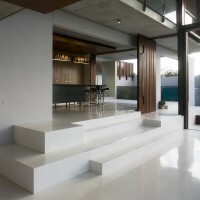 Visitors are welcomed onto the middle level of the home. 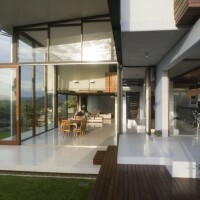 This transparent platform encourages family activity though connection between living space, play space and the street. 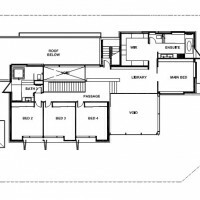 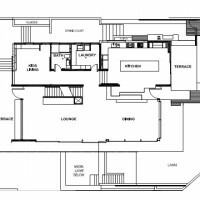 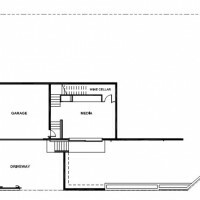 Private spaces of the home are separated between the basement and upper level. 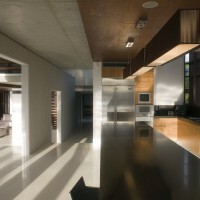 Visit the bureau^proberts website – here.